The National Operations Center of Excellence recently held its inaugural Transportation Systems Management and Operations or TSMO awards competition to highlight how various transportation agencies across the country are using TSMO and an operations focused approach to save lives, time, and money on the nation’s roadways. The group’s first-ever TSMO competition garnered 60 submissions from across the United States, demonstrating that TSMO has arrived as a dominant method of tackling major transportation challenges and providing alternative methods of tackling congestion and safety needs. 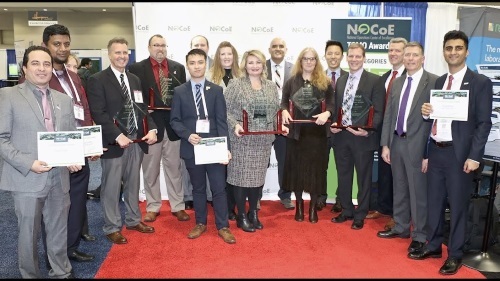 The awards ceremony, held during the 2019 Transportation Research Board’s annual meeting in Washington, D.C., highlighted the selection of North Carolina DOT as the overall winner. Unlike other more established transportation disciplines, TSMO has lacked an institutional support structure/centralized home for collecting and disseminating best practice information and identifying research needs and capabilities – a role the NOCoE is designed to fulfill, as it is a partnership of the American Association of State Highway and Transportation Officials, the Institute of Transportation Engineers, and the Intelligent Transportation Society of America, with support from the Federal Highway Administration.